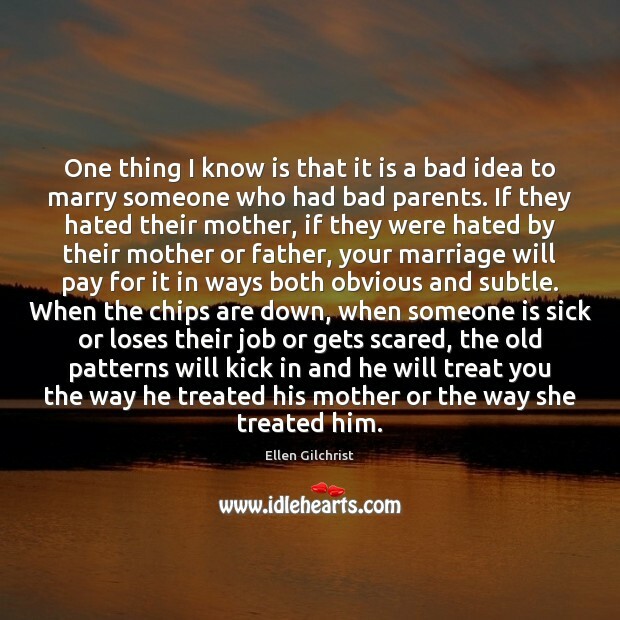 Quotations about Bad Parent. Quotes to stimulate mind and drive action! Use the words and quote images to feed your brain inspiring things daily! 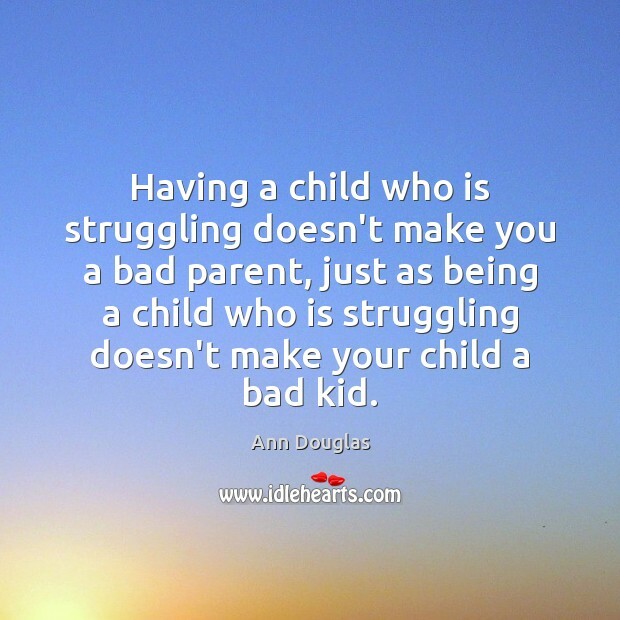 Having a child who is struggling doesn't make you a bad parent, just as being a child who is struggling doesn't make your child a bad kid. 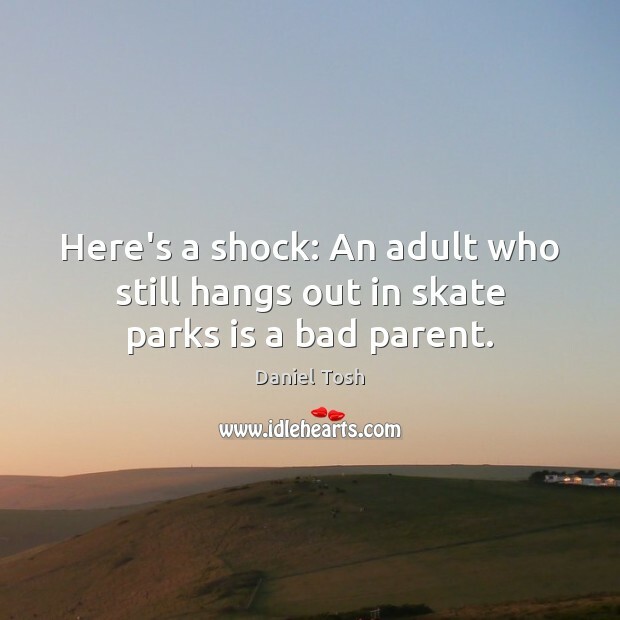 What's so sad is when we're younger, if you have a bad parent, that is normal to you and that's what you think of as healthy. 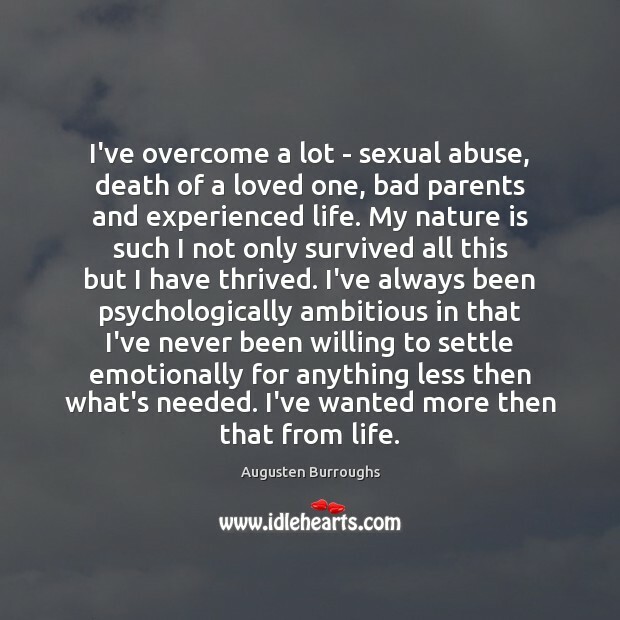 I've overcome a lot - sexual abuse, death of a loved one, bad parents and experienced life. My nature is such I not only survived all this but I have thrived. I've always been psychologically ambitious in that I've never been willing to settle emotionally for anything less then what's needed. I've wanted more then that from life. 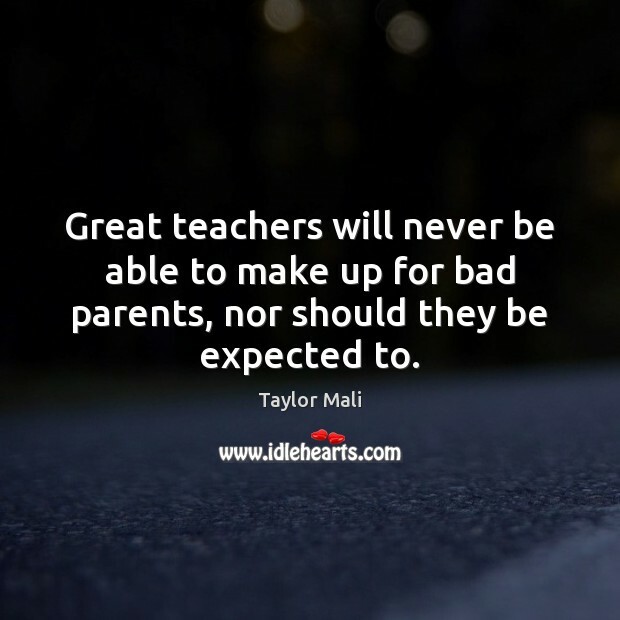 Great teachers will never be able to make up for bad parents, nor should they be expected to. 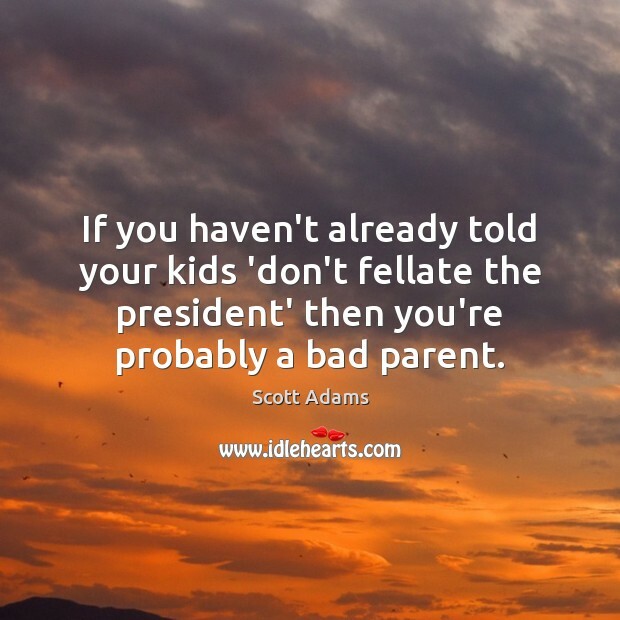 If you haven't already told your kids 'don't fellate the president' then you're probably a bad parent. 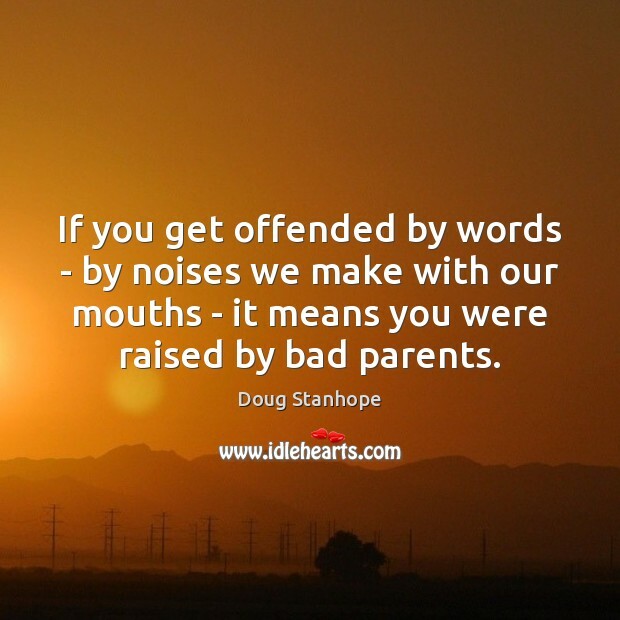 If you get offended by words - by noises we make with our mouths - it means you were raised by bad parents. 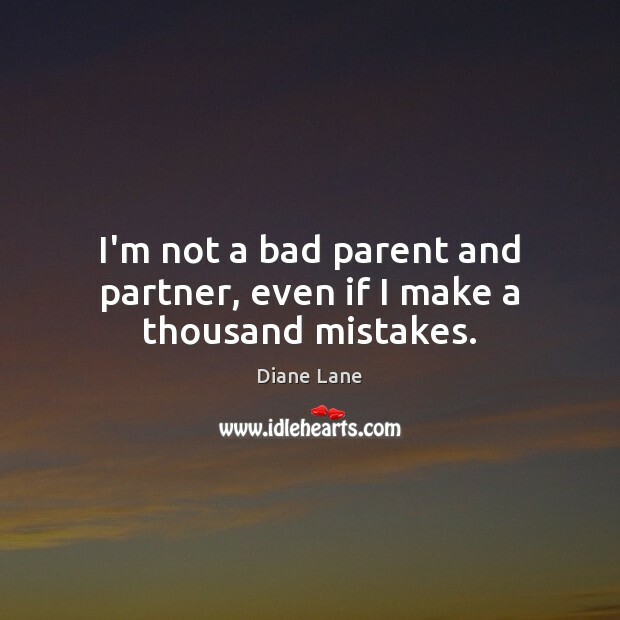 I called my mother immediately to inform her that she was a bad parent. "I can't believe you let us watch this. We ate dinner in front of this." "Everyone watched Twin Peaks," was her response. "So, if everyone jumped off the Brooklyn Bridge, would you do it, too?" "Don't be silly," she laughed, "of course I would, honey. There'd be no one left on the planet. 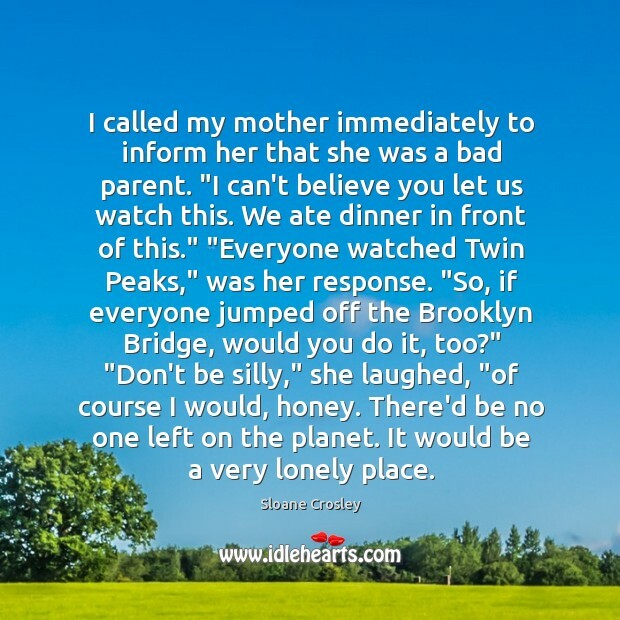 It would be a very lonely place. Andrew said you were the best person he ever knew." 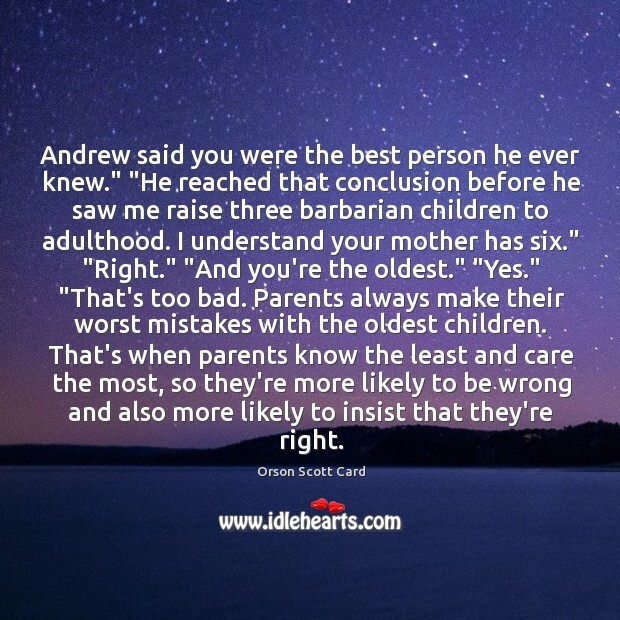 "He reached that conclusion before he saw me raise three barbarian children to adulthood. I understand your mother has six." "Right." "And you're the oldest." "Yes." "That's too bad. Parents always make their worst mistakes with the oldest children. That's when parents know the least and care the most, so they're more likely to be wrong and also more likely to insist that they're right.